How is it May 1st already? I feel like we just rung in 2017 just yesterday! Well, it is May and we're gearing up for a fantastic release. We've been sneaking some previews on social media that's got a whole lot of you in a frenzy of excitement! So fun! And now we're down to the home stretch! The kitties are coming for you this month! Cat lovers rejoice! This is one of the best stamps sets illustrated by Angela EVER. I actually never realized I liked cats until I met The Cat's Meow! So much fun to color in so many ways, we could not put this down! 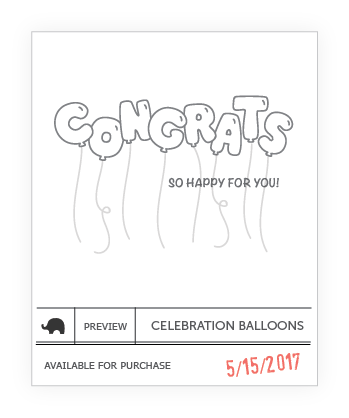 Designed to work with the crowd of cats from The Cat's Meow, Celebration Balloons is intended to hang fun balloony sentiments above the cats. It's always more fun with balloons, don't you agree? 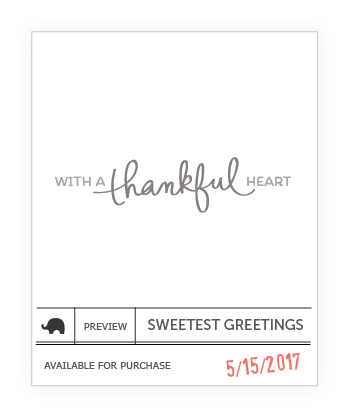 We've been releasing tons of image heavy stamps lately, so we're coming back with an all sentiment set featuring my penmanship named Sweetest Greetings. This set covers a wide variety of occasions including the upcoming Mother's Day and Father's Day as well as the basics! You'll love the larger size too! 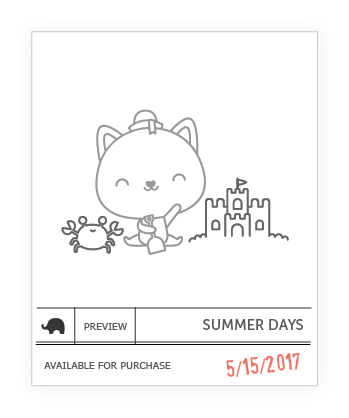 Luli Bunny is back with us this month and she's about to make a splash with this Summer themed stamp set aptly named Summer Days. Her cute critters are ready to soak up the sun! That's it for the stamp previews! Hold onto your horses though, because we are also releasing not one, but two Favor Bag additions to add to your collection! Exciting stuff! And last but not least, we will have a new Framed Tag set which I'm loving and overusing, hah! Yay! More Cats for my collection... Can they get any cuter? The kitty is so cute!!!! Kitties! 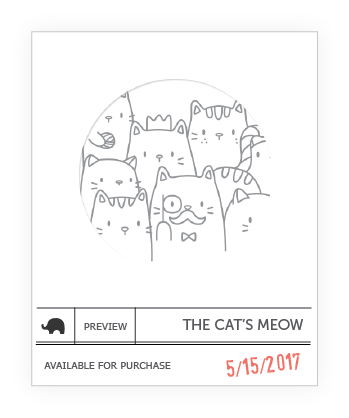 Can't wait to see the Cat's Meow! OMGoodness those cats.. Got to have 'em!!!!!! I can't wait to see the kitties!! I had to put my kitty, of 17 year, down a week ago. I need more kitties in my life now!